One of our top picks in Playa de las Americas.Sol Tenerife is located 200 yards from the beach in Tenerife’s Playa de las Américas Resort. It offers 3 outdoor pools with sun loungers, a tennis court and rooms with a furnished balcony with partial or front sea views. The air-conditioned rooms at Hotel Sol Tenerife feature tiled floors and cheerful colours. They are equipped with satellite TV, fridge, desk and chair. The private bathrooms come with a hairdryer. There is free WiFi available in all areas of the hotel. The hotel has a kids’ club, hairdressers and supermarket on site. Sports facilities include a volleyball court and a small football pitch. There is also a massage service. The Tenerife Sol’s restaurant serves international buffet meals. There are also 2 bars, including a poolside bar. Las Américas Golf Course is 550 yards away from the hotel. Tenerife Sur Airport is 8.7 miles away. You can take a boat to La Gomera Island in 35 minutes. Avenida Rafael Puig Lliviana, s/n, 38660 Playa de las Americas, Spain, Tenerife, Spain. 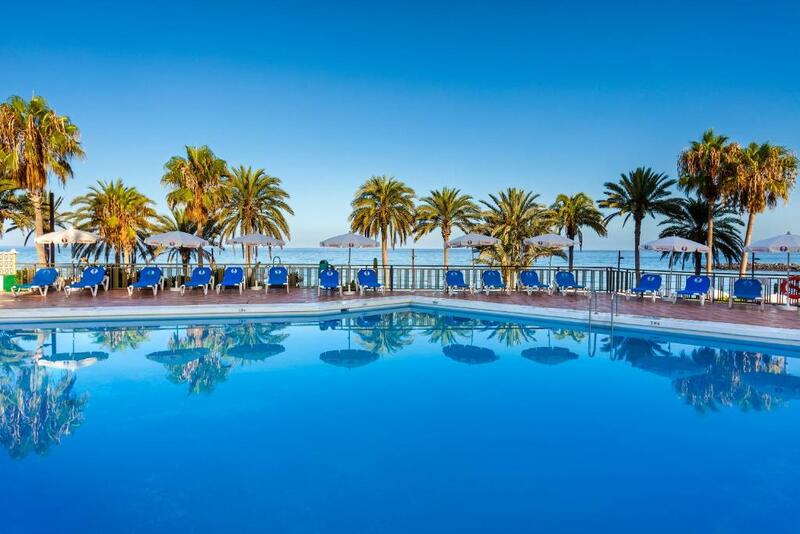 Sol Tenerife is located 200 metres from the beach in Tenerife’s Playa de las Américas Resort.